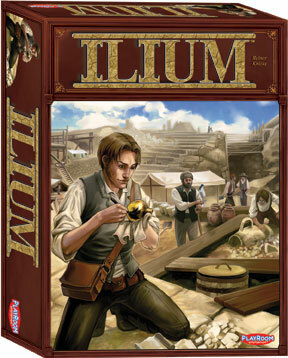 Troy, 1870...The famous archaeologist, Heinrich Schliemann, has discovered Iliumâ„¢ (ancient Troy) and now artifact collectors have rushed to send archaeologists to excavate the area. Go from one dig site to the next and try to retrieve the best collection of artifacts. Careful planning and timing are necessary, as the further down a site is uncovered, the more valuable the antiquity. Donâ€™t wait too long, though, or you may end up with nothing!